It is almost the end of January and hopefully for those out there that make resolutions you are still working towards those goals! 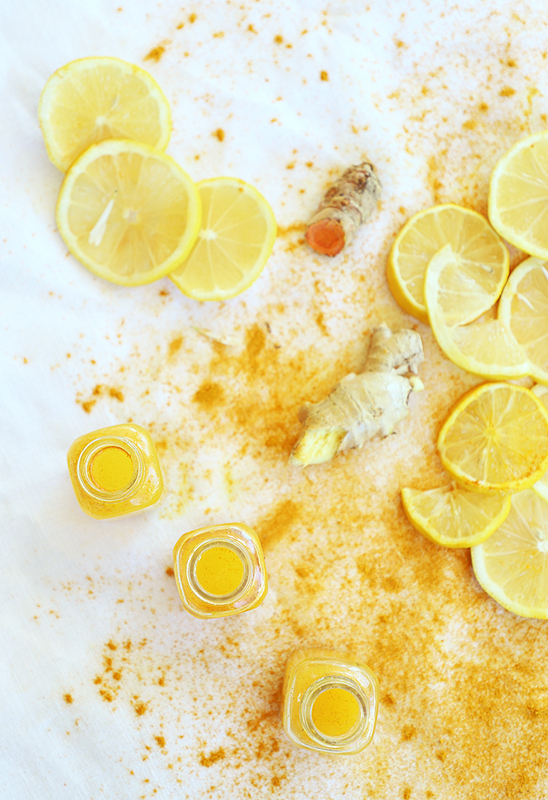 If one of your goals includes health, you are going to love and want to try these wellness shots. 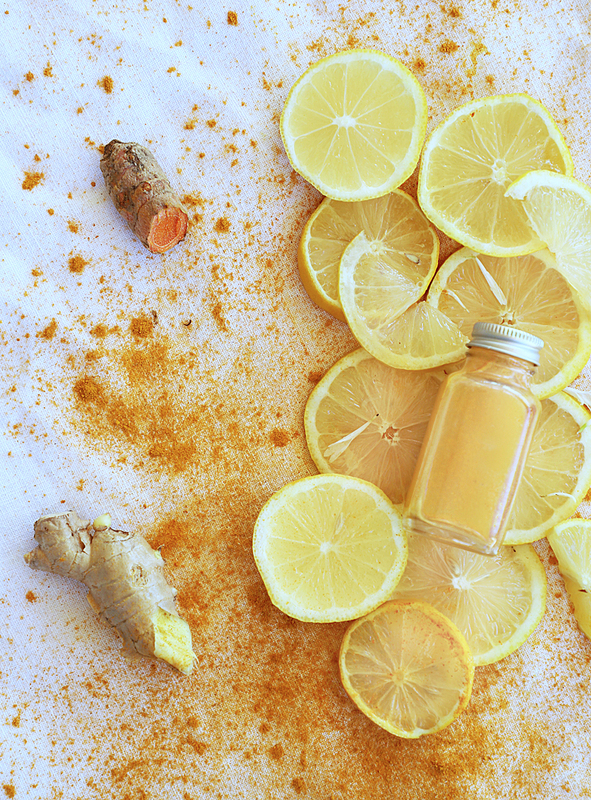 I first discovered lemon ginger turmeric shots at Costco and I loved them. 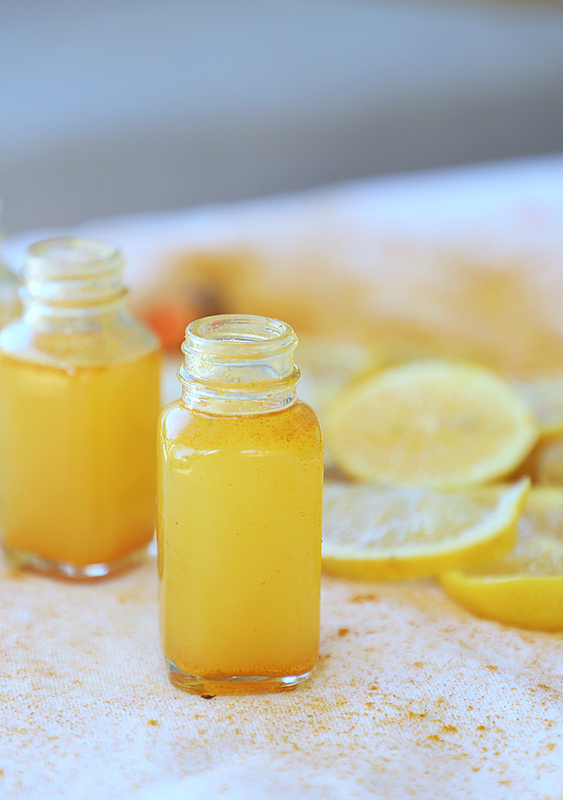 I found myself craving the tartness shots everyday. I also subscribe to the somewhat odd belief that if I have an insatiable craving for a food, it means I am missing some sort of vitamin or mineral and my body is telling me I need to get it now. Like when I was pregnant and craved red meat (which I rarely eat) and it was cuz I was anemic during pregnancy! It does not explain my random craving for candy, but whatever. 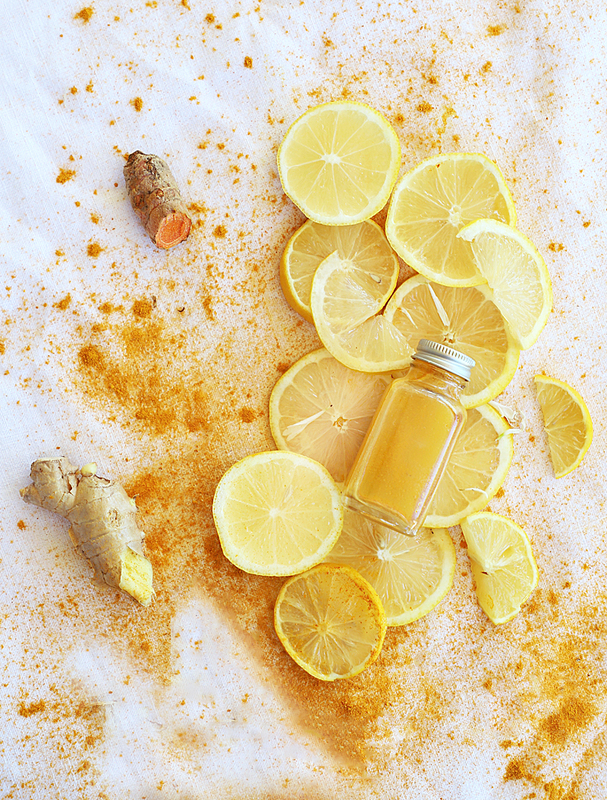 I do not peel the turmeric or ginger, it is not really necessary to do so, especially if you have a juicer. A juicer would be much better to use, but I do not have one (considering it, but I hate having more kitchen appliances!) I use a blender and then strain the liquid to get the shot. The shot is VERY tart and strong. You know in college when you took a shot of tequila and would then go WHEW and maybe get a tear in your eye? cuz it was so strong? Just me? That’s kind of what this is like except it is healthy for you. 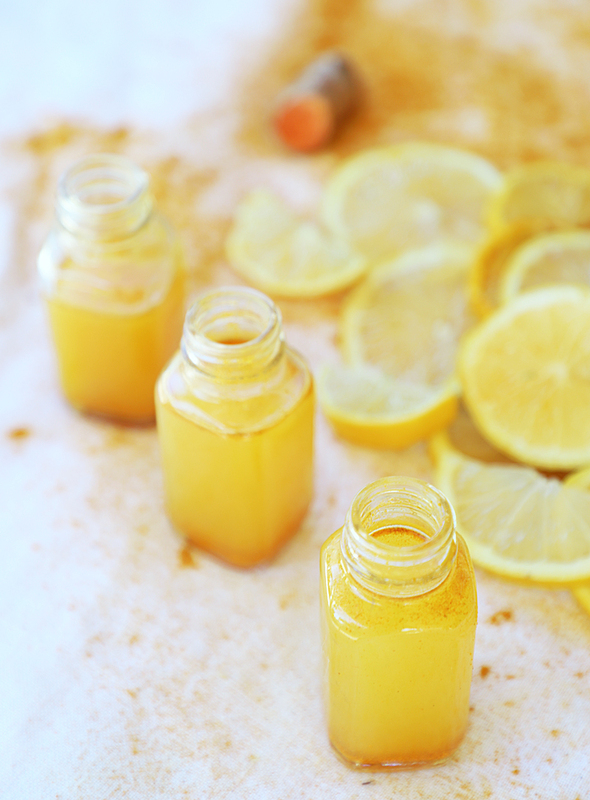 If you want to ease into it, add a bit of some kind of natural sweetener- juice of an orange, honey, etc. Nick hates tart so I add a bit of honey for his. I happen to love it, but I recognize I am not so normal in that regard, ha.